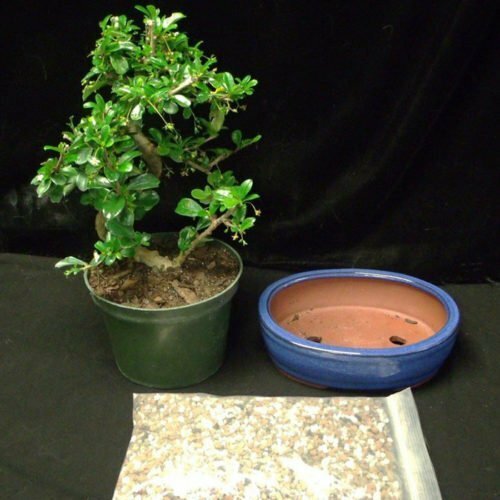 This bonsai tree kit comes with everything you need to create your own beautiful bonsai tree. While not considered a indoor tree, Chinese Elms can be grown indoors with appropriate light such as by a window. Additional items can be added to make this a more advanced kit. Please select from the list provided under “Upgrade” before adding to the shopping cart. These items are offered here at an additional discount. NOTE: Tree & pot shown are not the exact tree/pot shipped. 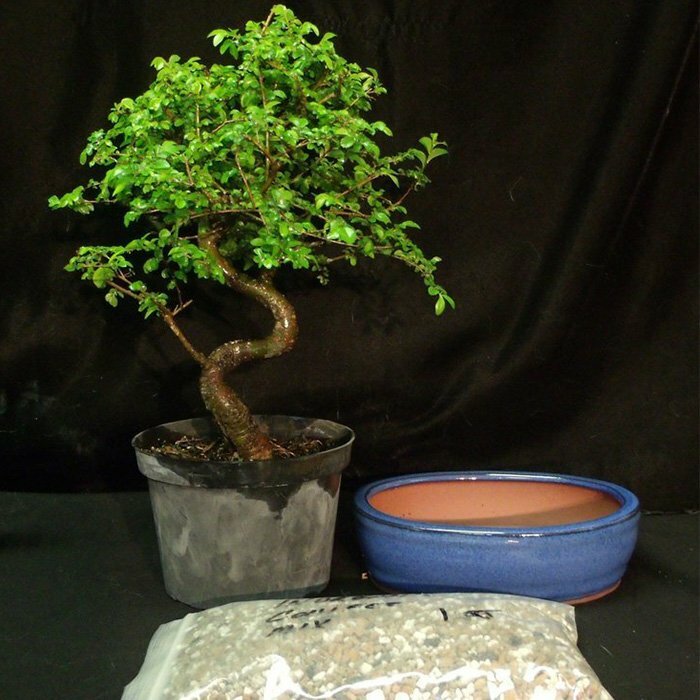 All trees/pots shipped are the same species and are similar to the tree/pot pictured.